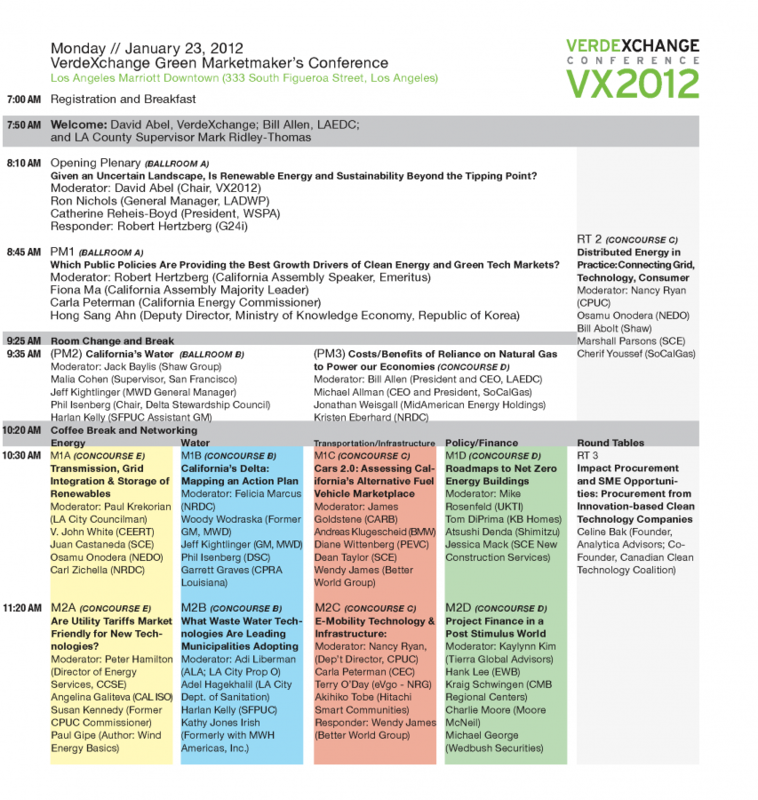 VX2012 SUCCESS, DESCRIBED BELOW, PROVIDES A TEMPLATE FOR WHAT IS PLANNED FOR VX2013. Global and California energy and sustainability leaders meet under one roof to debrief energy policy and to explore what drives clean technology markets. LOS ANGELES, Calif., Jan. 24, 2012 – Gathered for two days to share best practices and network, local and global business and government leaders tackled some of the most pressing energy issues at VerdeXchange 2012 in downtown Los Angeles. In its fifth year, the conference drew an executive-level audience of more than 500 industry leaders from various sectors of the green economy, along with government officials from the local, regional, and international levels, including Korea, China, Japan, Germany, Canada and Australia. David Abel, chairman of VerdeXchange, Reheis-Boyd, president of Western States Petroleum Association, and Ron Nichols, general manager of LADWP, opened the conference’s first plenary panel, “Is Renewable Energy Beyond the Tipping Point?” Forty-one expert panels followed over the two days. More than 140 speakers and panelists, including government officials, clean technology leaders, and procurers involved in energy efficiency, transmission, alternative-fueled vehicles, clean water, alternative fueled transportation, carbon trading, and green building, shared best practices and insights on the green economy marketplace. Immediately after the news hit the wires, MidAmerican Energy Holdings Company shared with conference attendees that the company had established a new business to support its move into the unregulated renewables market. MidAmerican Renewables, LLC will oversee wind, geothermal, solar, and hydro projects that produce energy to be sold in the renewables market, Weisgall said. Additional conference highlights included a luncheon plenary on California’s cap and trade policy compared to Australia and the United States, which was moderated by former U.S. Secretary of Commerce Mickey Kantor. The panelists were James Goldstene, executive officer of the California Air Resources Board; Robert Owen-Jones of Australia’s Department of Climate Change and Energy Efficiency; and Frank Harris, manager of Corporate Environmental Policy at Southern California Edison. Mayor Antonio Villaraigosa gave the closing comments. This year’s sponsors included Shaw Group, PricewaterhouseCoopers, Southern California Edison, Southern California Gas (A Sempra Energy Utility), Metropolitan Water District, METRO, AQMD, Tierra Global Advisors, NRG evGO, and KOTRA (Korea Trade-Investment Promotion Agency). 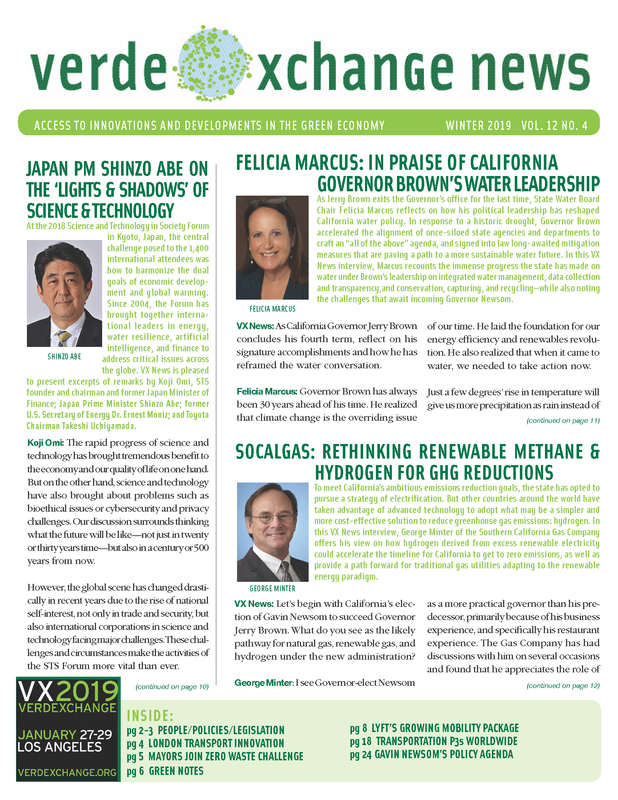 VerdeXchange, LLC is an environmental think tank and publisher created to inform and strategically advise green innovators wishing to diffuse green technology and innovations in the marketplace. Visit http://www.verdexchange.org for more information. 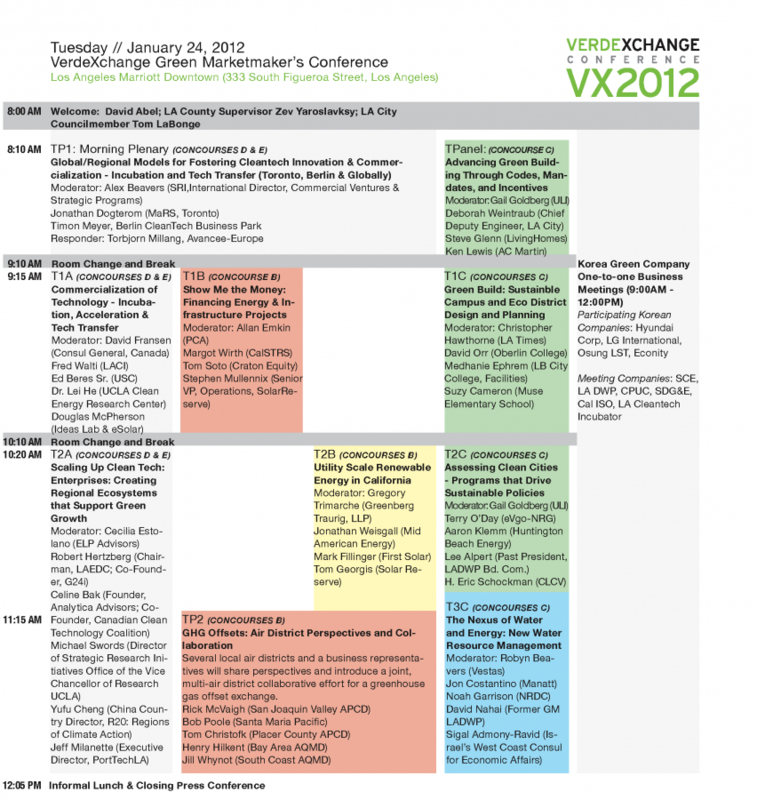 Follow this year’s conference using #VX2012. Welcome 2012 from VERDEXCHANGE on Vimeo. Given an Uncertain Landscape, is Renewable Energy & Sustainability Beyond the Tipping Point? 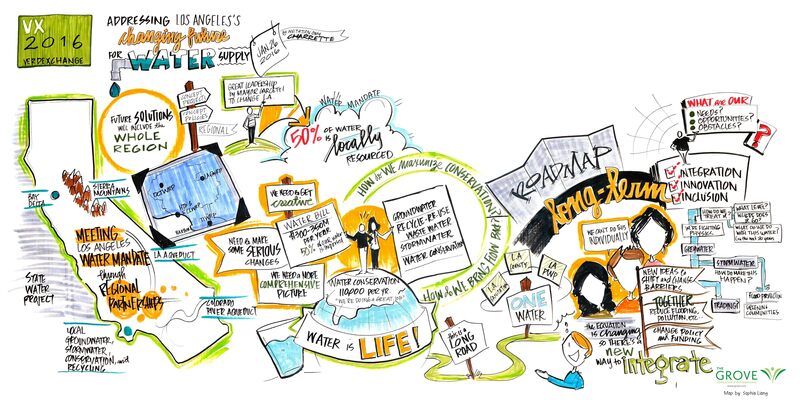 Given an Uncertain Landscape, is Renewable Energy & Sustainability Beyond the Tipping Point? from VERDEXCHANGE on Vimeo. 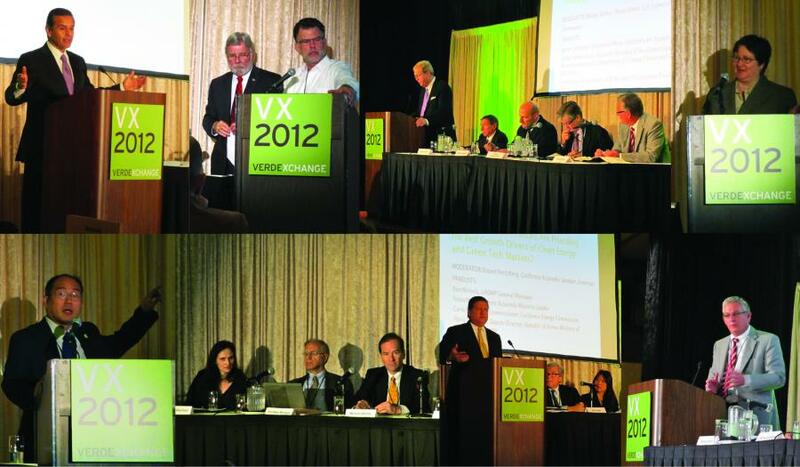 What Is The VerdeXchange Marketmakers Conference? 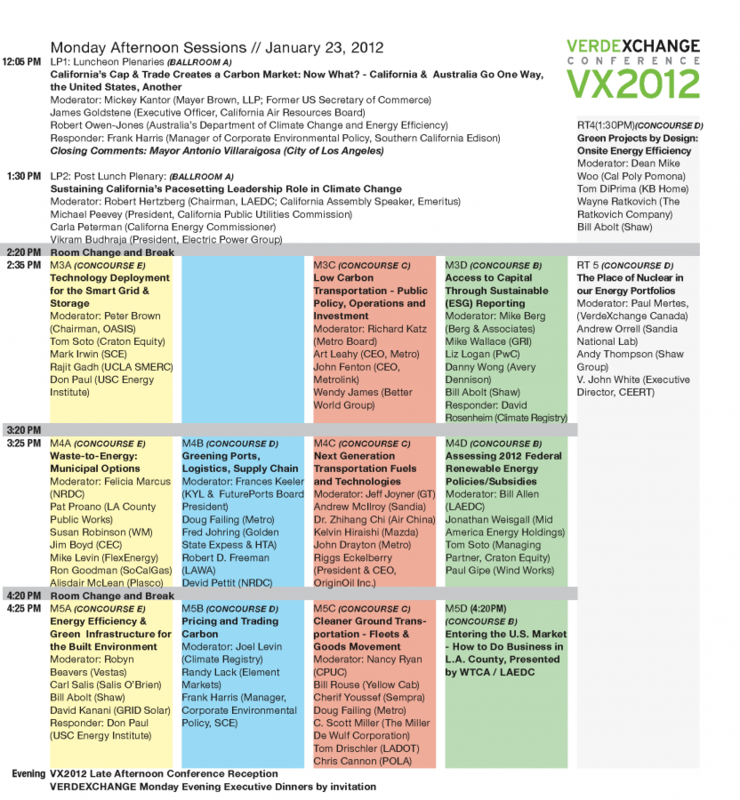 The VerdeXchange Market Makers Conference is an international, executive level conference that brings together market leaders from all sectors of the green economy for two days of high-level discussion, interaction and market making. Continuing the tradition of previous VERDEXCHANGE conferences in Los Angeles and Toronto attendees will gather under one roof in intimate panel and networking sessions to participate in unmatched, cross-platform, B-to-B opportunities to meet, learn from, and do business with global and local green economy manufacturers, entrepreneurs, project financiers, elected officials, utility executives, energy and water providers and regulators, environmental stewards, and equity investors. 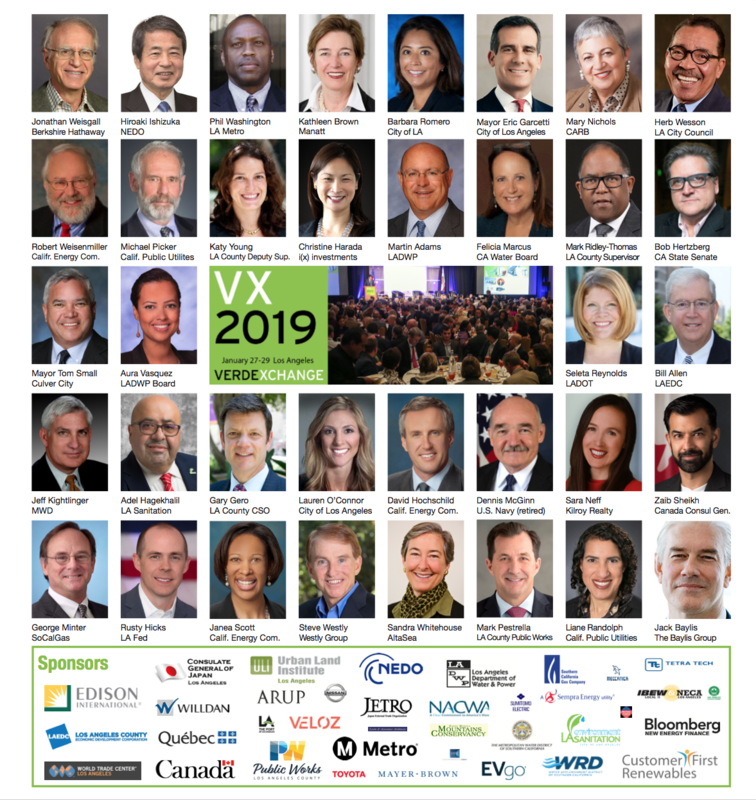 Approximately 500-650 delegates will attend VX2012, including industry leaders and procurers involved with energy efficiency, transmission, alternative fueled vehicles, clean water, transportation, and green building who are actively investing in and shaping the U.S., Western States, and the global green economy marketplace. 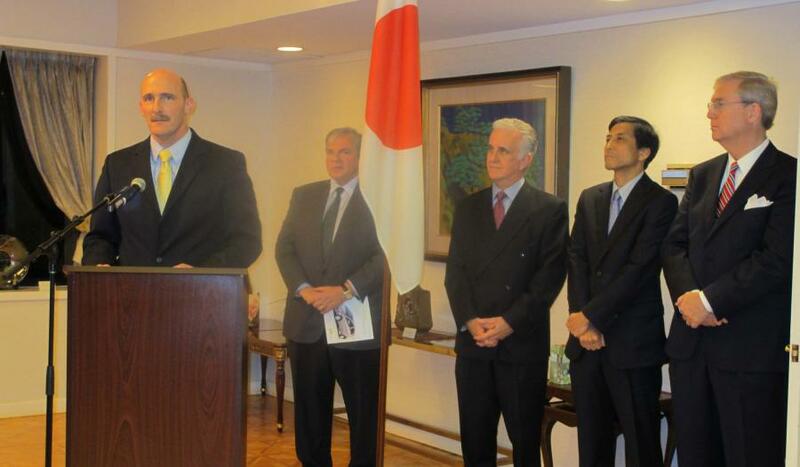 Cleantech Leadership: Korea, Canada, Japan, Germany, et al. Cap & Trade in California: Now What? Which Public Policies Are Providing the Best Growth Drivers of Clean Energy & Green Tech Markets from VERDEXCHANGE on Vimeo.